2014 – How’d I do? While I know this, I seem to have lost my voice. Or perhaps what I’ve lost is my focus and I can’t remember my story. Oftentimes my life keeps me running so fast I can’t remember who I am or how I got here. Many days I wake up tired and I go to bed exhausted. Days roll into weeks and before I can even comprehend what is happening or give it a second thought, a year — a WHOLE YEAR — has passed. I’m all about setting and meeting goals, preparing and completing “To Do” lists. Our house? While not the showpiece of the neighborhood, it’s tidy. The dogs? Healthy. Our marriage? Not without it’s ups and downs but we love each other and we’re determined to not let any obstacles or challenges destroy us. Or each other. All this is to simply say: I don’t sit around and do nothing. I do stuff. Daily. I’m busy. Too often, I’m too busy. Type “A?” Guilty. 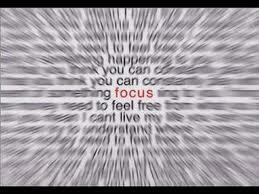 My One Word for 2014 was “Focus.” My goal for 2014 was to focus more on the important than the urgent. Looking back over the past twelve months, I could throw my hands over my face and cry about how miserably I failed at Focusing. I have plenty of excuses: work, work, and oh yeah … work. I’ve promised Hub, my parents, and my life group sisters to cut back and not work so late at night. I even promised to not work on the weekends. Really, who am I fooling? Urgent matters really aren’t that urgent. Especially when they’re at the expense of the important. ESPECIALLY if they’re at the expense of the important! If I’ve learned anything this year, I’ve learned this. So maybe I didn’t fail as miserably as I thought I did. I can beat myself up over where I think I failed in 2014 OR …. I can move forward and stop this cycle of regret. My story, my voice? It’s been here all along. I just had to stop. And listen.